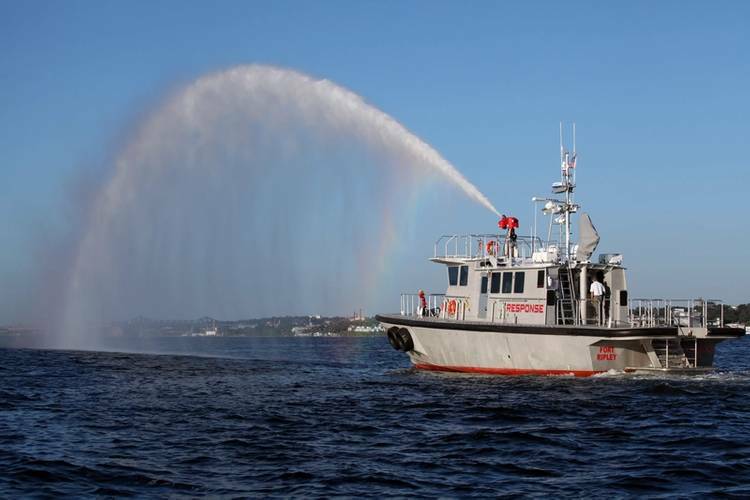 Fort Ripley, a new offshore emergency response craft now entering service in Charleston, S.C., is reported to be the first commercial vessel in North America to be powered by triple Volvo Penta IPS drives. 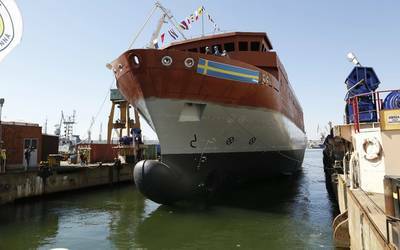 Designed by C. Raymond Hunt Associates, built by Gladding-Hearn Shipbuilding, Duclos Corporation, and owned by Southeast Ocean Response Services Inc., the USCG-certificated 64-ft. aluminum boat, was commissioned today (October 7, 2014) in a ceremony in Charleston. Fort Ripley’s primary mission is to allow ships to meet federal requirements for rapid offshore firefighting, salvage and emergency response, providing coverage between Morehead City, N.C., and St. Augustine, Fla. 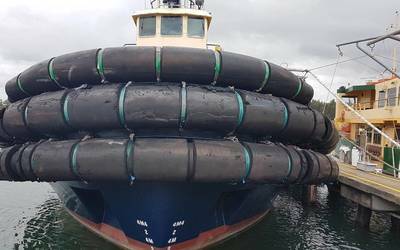 It will also serve as a fireboat in Charleston Harbor, a supply boat for ships at anchor and an additional launch for the Charleston Pilots and other marine operators in the region. It is equipped with three IPS drives, each powered by a commercially rated Volvo Penta D13-700 diesel engine. 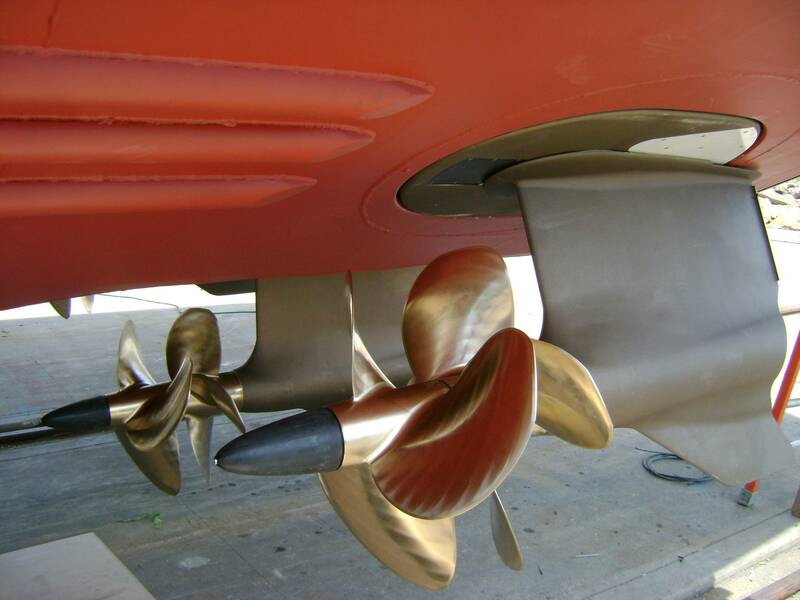 Each of the independently steerable IPS drives has dual counter-rotating forward-facing propellers. The IPS can be controlled from the wheelhouse or either of the two aft docking stations using a three-axis joystick. The Dynamic Positioning System (DPS) provides fully automatic hands-off precise station-keeping under GPS control. 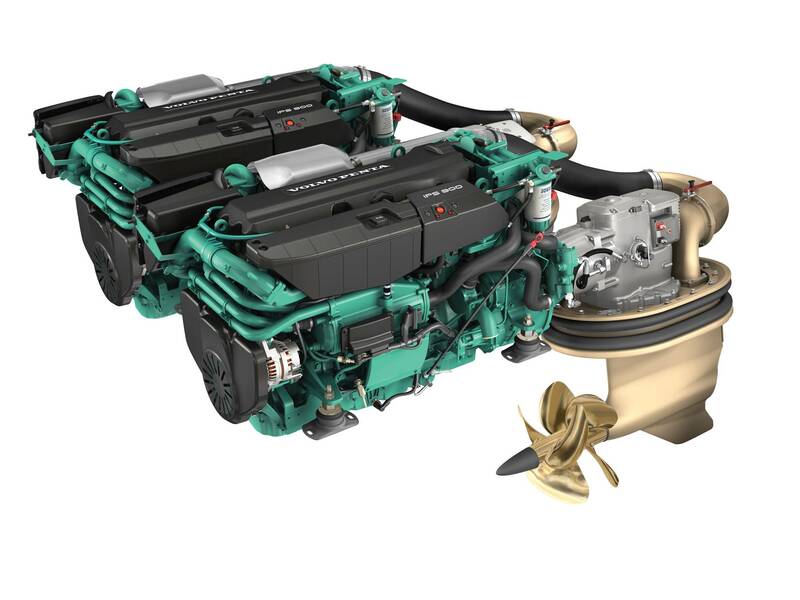 The triple engine configuration allows the center engine to decouple from the drive and power a 3,500-GPM fire pump while the two outboard drives easily maneuver the vessel or maintain position automatically using DPS. In addition to its 3,500 GPM dual-monitor foam firefighting system, Fort Ripley features a diver platform, dual-purpose breathing apparatus recharging system, 1,000-pound crane, four-ton deck cargo capacity, VHF and satellite voice communications, day/night cameras with satellite data uplink, and a PYROLANCE steel-penetrating nozzle system. It is U.S. Coast Guard certificated for a 12-person response team.